Road Diaries: Want to Perform for Young People? Here's Some Advice. We often hear from performing artists who are considering performing for young audiences, but don't know what it takes to get started. We figured we'd ask the experts, so we turned to the artists on our Artists on Tour Directory to share their thoughts. What advice would you give to artists who are considering performing for young people? Be natural not sophisticated. Children accept those who are natural and real better because they still are not manipulated by society to change themselves in order to fit in. Do they like young people? Consider the young audience needs and what they will identify with first. It is about their experience and that should be considered at every step of the journey. Is your work interactive? If so, is that interactivity meaningful? If not, it should be. 1. Start slow with small groups. 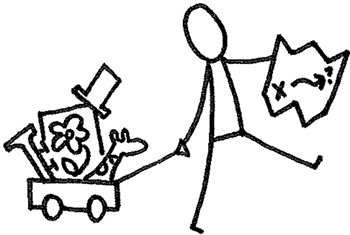 "Anything worth doing is worth doing poorly at first." 2. Give of your heart whatever impassions you. 3. Read Steven Covey's books, The 7 Habits of Highly Successful People and The 8th Habit. 4. Develop your own code. Personal qualities you believe in... Journal often... Make a treasure posture. Ask the "universe" for direction and listen for little signs and take action immediately. Celebrate your wins. 5. Help or follow other professional entertainers. Ask them for advice. 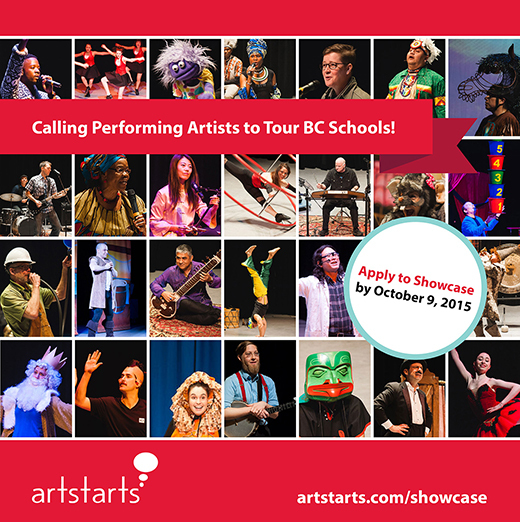 If you are interested in touring schools as a performing artist or group, we invite you to apply to Showcase with ArtStarts! The ArtStarts Showcase and Conference is Western Canada's most important performing arts showcase and conference for school and community arts programmers interested in booking performances for young audiences. Delegates from all regions of BC attend each year. Road Diaries: Answers and Advice from ArtStarts Touring Artists is a series that features voices of the talented artists who are part of ArtStarts' Artists on Tour Directory. These professional artists travel schools across the province, bringing meaningful creative experiences to young people in urban, rural and remote communities. Read more Road Diaries.